I have reviewed a few Coast products in the past, and time and time again, I am impressed with what they have to offer. Their products might not be 100% perfect, but they come close and they do so at a price that is affordable. When reviewing the LK375, though, I didn’t have that same feeling; but the more I used it the more I started to get that feeling back. I will admit that when I first saw the LK375 in person I was not all that impressed with the looks or the feel of it. You know that old saying about not judging a book by its cover. Well, it turns out that when you give the LK375 a chance it is actually a really good tool, though it is probably not for everyone. The biggest problem with the Coast LK375 is the way it looks and feels. Even though its handles are made with durable Polycarbonate, they just look and feel like cheap plastic. It is because of this that a person might dismiss the tool at first sight without realizing that it actually has some good parts hidden inside. The other issue with the LK375 is its width. 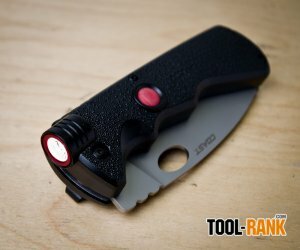 To incorporate a flashlight that is worth carrying, Coast needed to make the handle bigger; but at almost 1-inch wide, it is not something you want to keep in your pocket. On the plus side, the LK375 actually packs a good knife and a good flashlight inside. The flashlight not only uses a common AAA battery, it outputs a total of 110 lumens on High and 29 lumens on Low; you can change between the two by switching the light On Off On. The single battery provides up to 1.5 hours of runtime on High and 4 hours on Low. The light quality is just as good as other Coast Flashlights I have used, and can project its beam up to 173 ft. I was really surprised by the light output when I first used it. The knife blade is also pretty good for the price of the tool. 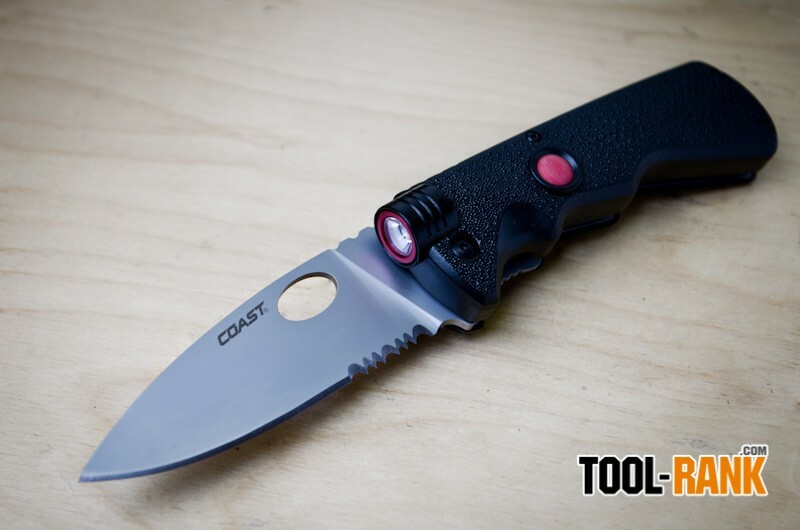 It uses a 7Cr17 stainless steel, which is a step up from the steel used in the Coast Rapid Response knife, and it is a steel that Coast uses frequently in their other knives. The blade was razor sharp right out of the box, and it stayed sharp for a few weeks of use on cardboard. 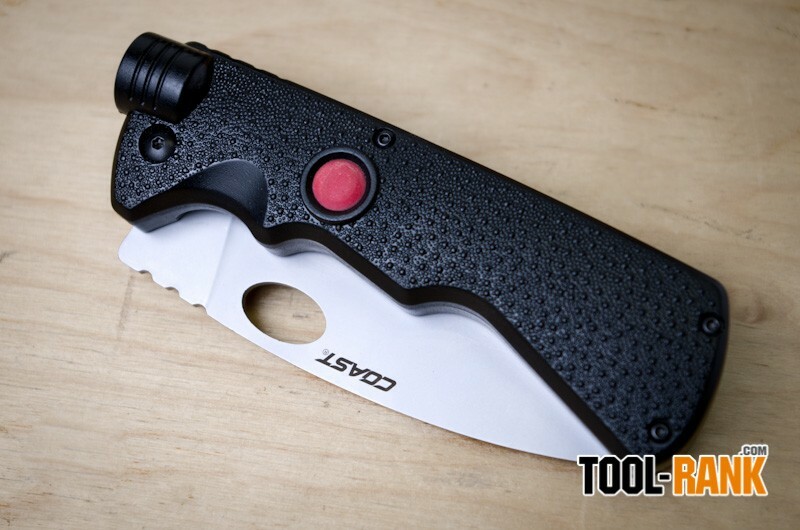 Like the rest of the knife, the blade is big and bulky, but that means it can probably handle some abuse. The overall length of the blade is 3.75” with 1” of serration, and it is about 1.25” at its widest. 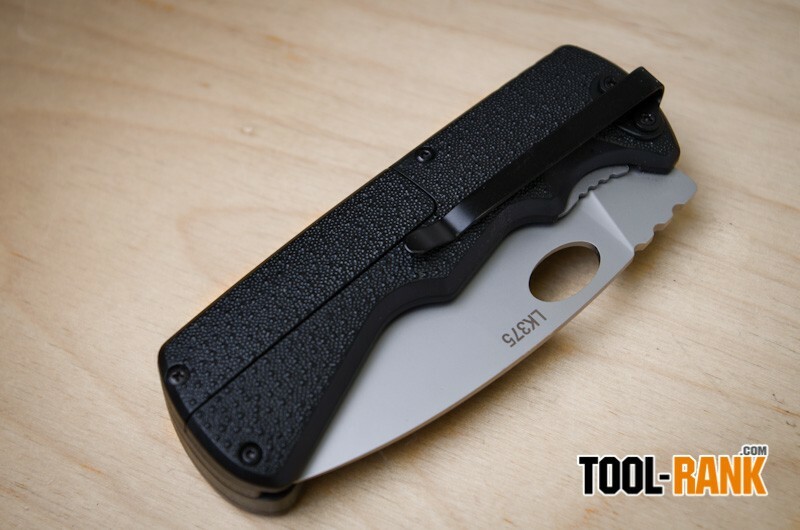 The bulky handle doesn’t makes the knife feel that comfortable in a pocket, but it does make the knife easier to hold onto when you actually need to cut something. If the LK375 was a fixed blade knife, I doubt I would even be complaining about the handle size. There are some tradeoffs with having two tools in one, and in this case, it is size. 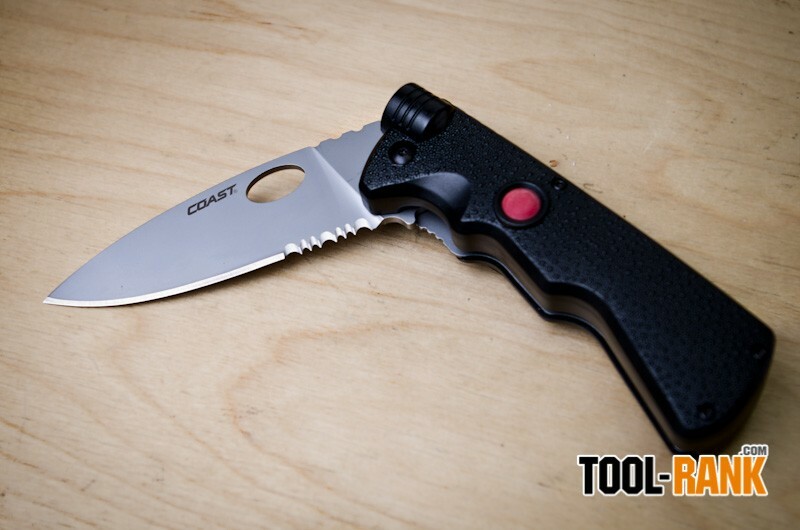 Overall, the Coast LK375 is a good quality tool, but it is not a tool for everyone. If size is not an issue for you and you don’t mind the looks, the LK375 is a good way to go from having to carry two separate tools to only one. 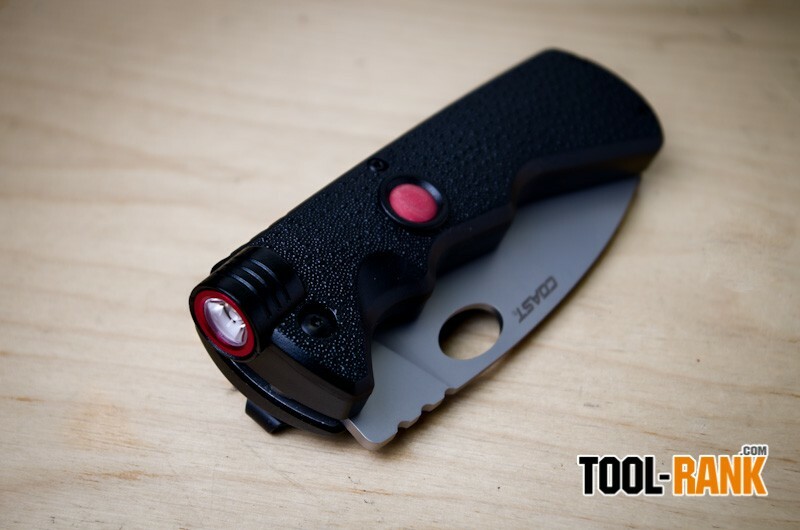 Despite the size and feel of the knife, if I could only make one change, I would rotate the belt clip 180-degrees on the handle; that way I could retrieve the knife and turn on the light in one motion.